Smooth and bold; just like the military-industrial complex! 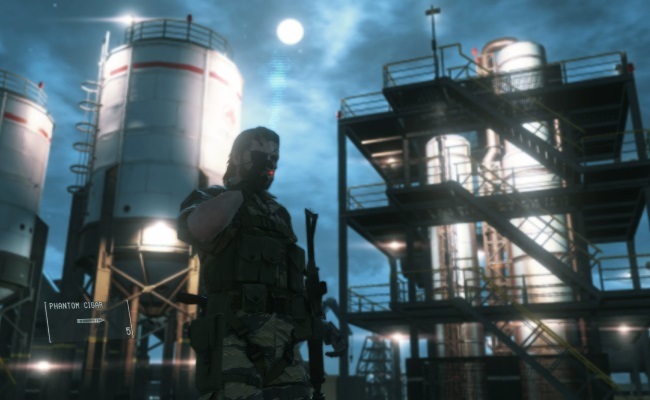 This week on PopMatters I get all paranoid about Metal Gear Solid V's sneaky implementation of the war economy. Here's a free alternate title: the Metal Gear-industrial Complex. I really think it could catch on. This isn't a post about Konami's shady dealings around online modes and microtransactions. I've made my peace with those. It's about something I find even more unsettling (and cool in the context of MGS V.
By the end, the game makes a strong argument about why militarization tends to spiral out of control. The game sets you down a path where you continually need to get money to develop weapons that directly add to the need to develop more weapons. Of course you need money to do this, so you eventually find yourself in a never ending loop of militaristic capitalism. Of course you could opt out, but you have to be OK with either having a poor loadout or getting ransacked by other players. A couple months after release and the game has become one huge arms race crossed with a prisoner's dilemma. With the advent of nukes, meta-game factions have begun to make the cases for and against proliferation. Sure, perhaps the world would be better off without nuclear weapons, but who wants to go first? Who wants to bet that a bad actor won't do something reprehensible. Not I and probably not you either. So instead we find ourselves in a familiar cycle within one of the most fascinating games of the year.